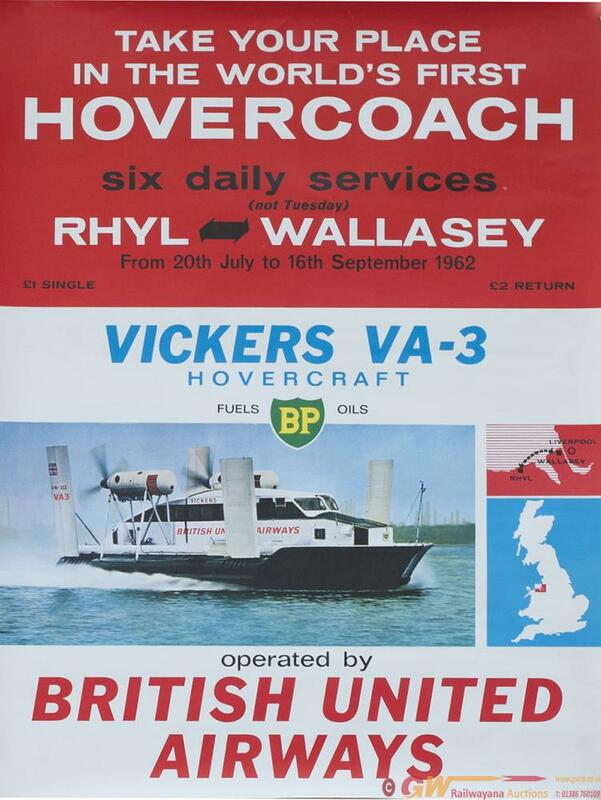 Poster BRITISH UNITED AIRWAYS, WORLDS FIRST HOVERCOACH SERVICE, Rhyl - Wallasey. July - September 1962. VICKERS VA-3 HOVERCRAFT. BP fuels. Single crown 15in x 20in. A rare poster in excellent condition.